Shake-Up at PIMco – Should Investors Care? The big news in the mutual fund world this past week was the announcement that PIMco Co-Chairman Mohamed El-Erian will be resigning from the firm effective in March. El-Erian is a frequent guest on CNBC and a really smart guy. This has been a huge story in the financial press. As an investor should you care? PIMco was founded by the soon to be sole Chairman and Chief Investment Officer Bill Gross. PIMco is perhaps the preeminent bond mutual fund shop. 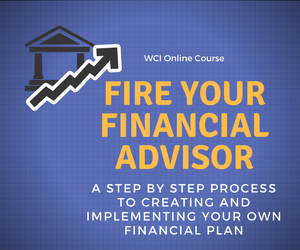 Many financial advisors, including yours truly, have client assets invested with them. Their flagship bond fund PIMco Total Return (PTTRX) has had middling results the past couple of years and experienced significant fund outflows in 2013. 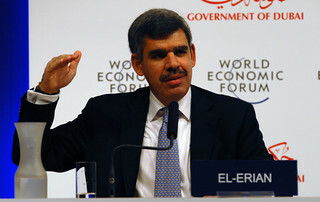 El-Erian is the second key executive to leave the firm recently preceded by the retirement of Paul McCulley in 2010. Some say El-Erian’s departure is an outgrowth of PIMco’s rough year in 2013. “Even as speculation ranges from whether the highly regarded and high-profile economic strategist was forced out or simply burned out, the general consensus is that Mr. El-Erian’s departure will not hurt Pimco‘s reputation or asset management prowess. “The news was an incredible surprise, and we have a number of clients with investments in Pimco funds,” said Richard Konrad, managing partner at Value Architects Asset Management. “The move was surprising because Mr. El-Erian, 55, has been the public face of Pimco since he rejoined the company in 2007, taking some of the spotlight from the company’s famous founder and co-chief investment officer, William H. Gross. In 2012, Mr. Gross said, “Mohamed is my heir apparent.” On Tuesday, by contrast, Mr. Gross took to Twitter to announce: “I’m ready to go for another 40 years.” That would take Mr. Gross to his 109th birthday. PIMco is a very solid fund company with a deep bench of talented managers and researchers that offers a number of very solid mutual funds, closed-end funds, and ETFs. They are best known as fixed income managers, which going forward will be a tough place to be for any firm. This situation brings to mind Janus Funds, one of the preeminent go-go growth mutual fund houses of the 1980s and 1990s. Beginning with the departure of star manager Jim Craig in 1999 and followed by the market drop of 2000-2002, several corporate restructurings, involvement in the mutual fund scandal of the early 2000s, and an awful lot of fund manager and executive turnover this company has never been the same. I’m not saying PIMco will follow suit, but the potential parallels are there. My strategy is simple. I plan to watch the overall situation with the firm and to continue to evaluate my client’s PIMco holdings in the same fashion as before this announcement. In my opinion this management shake-up is not a cause for any immediate or drastic action, but time will tell. Personnel issues with a mutual fund and or its parent company are a valid reason to place a fund or a family of funds on your watch list. This is generally a component of an Investment Policy Statement. Do you have an orderly due diligence process in place to react to changes in your mutual funds and those in charge of managing them?